This category focuses on Steel Fabricators who handle a wide range of engineering jobs all over the UK. These professionals know the ins and outs of steel fabrication and can handle all types of contracts with the necessary skill and proficiency. Metal fabrication jobs require a high degree of knowledge, training and experience, and the UK-based fabricators fulfil all these requirements in spades. Steel fabricators employ the latest in engineering technology to produce an extensive range of steel-based products and finishes. Teams of professional fabricators work on a wide variety of fabrication and installation jobs around the UK. Every project is handled with the necessary care and precision, keeping to strict quality checks to deliver on customer expectations. Given their versatility and resourcefulness, these tradesmen undertake both domestic and commercial engineering assignments of different skill levels, from basic repairs to advanced onsite fabrication. 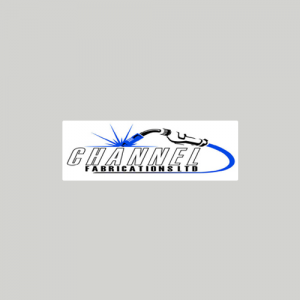 For their commercial clients, the fabricators offer a portfolio of civil and electrical fabrication services at both short- and long-term contracts. They can work at both hourly and fixed price rates depending upon each client’s budget and the complexity of the project. From fabricating and erecting to structural steelwork, CAD design, walkways, fire escapes, stairs, and heavy fabrication, the UK-based steel fabricators offer a diverse array of services for the commercial industry. Steel fabricators conduct a vast range of small- and large-scale jobs for their domestic clients. Their domestic services include: steel railings, steel gates, balustrades, Juliet rails, handrails, steel staircases, grills, balconies, walkways, and architectural steelwork. The companies are fully licensed and registered, so clients can put their concerns to rest when hiring a team of fabricators for domestic installation and repair. With years of experience and several successful projects under their belt, the steel fabricators enjoy a nationwide reputation and can undertake jobs for clients from virtually every field. No matter what the specifications of a job, these professionals can fulfil them to the letter.